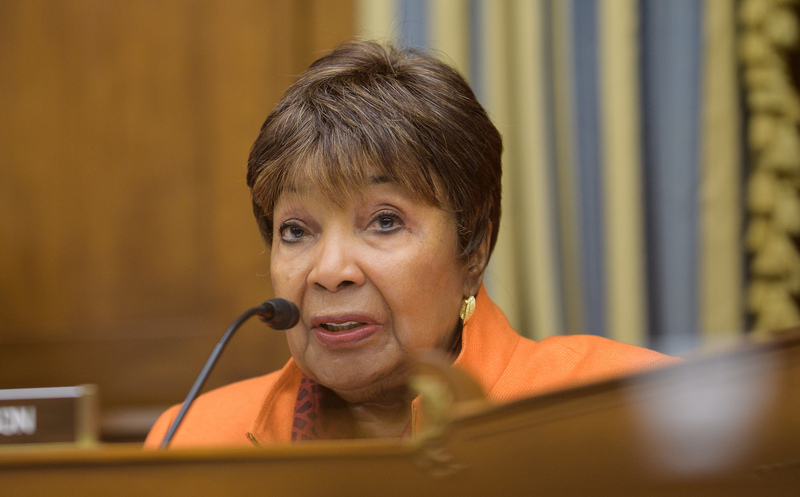 WASHINGTON – A new outlook on climate science is likely to come from the ascent of Texas Democrat Rep. Eddie Bernice Johnson to the chair of the House Science Committee. Expect public pushback on the GOP narrative denying that humans cause climate change. Johnson seems to be in line to take the gavel when Democrats take over House control in January 2019. She is the senior Democrat, wants the job, and has no visible opposition. Nothing is certain until a new House Democrat leadership officially anoints her. Johnson would take over from retiring Texas Republican Lamar Smith who gained notoriety during his six-year tenure as Science Committee chair for aggressively denying the worldwide consensus of mainstream climate science. As ranking minority member of the committee during that time, Johnson vocally opposed Smith’s attacks on, for instance, scientists at the National Oceanic and Atmospheric Administration who maintain planetary temperature records. She will be the third consecutive Texan to chair the science panel. Historically, leadership of the House Science, Space, and Technology Committee (its full official name) has been intertwined with the U.S. space program. That jurisdictional feature has made it an ideal seat for legislators from space-industry states like Florida and Texas. While the aerospace industry is important to Texas as a whole, neither Smith, from Central Texas, nor Johnson, from Dallas, represent parts of the state where space is as important as it is in Houston, home of NASA’s Johnson Space Center. Former Texas congressman Ralph Hall, who represented a district northeast of Dallas, was Smith’s immediate predecessor as chair of the panel, holding the position from 2011 to 2013. Like Smith, Hall also rejected mainstream climate science, echoing former Texas Gov. and now U.S. Energy Secretary Rick Perry in suggesting without evidence that it might be a hoax. But if Johnson, as expected, does become the third Texan in a row to chair the committee, she promises to bring a diametrically different attitude and approach to the job. Johnson’s 30th Congressional District, which includes much of Dallas, is 43 percent black and 38 percent Hispanic. Before she entered Congress in 1993, Johnson worked as a psychiatric nurse. She has a strong interest in STEM (science, technology, engineering, math) education, and has sponsored a bill (H. R. 2653) to improve career opportunities in STEM fields for women and members of minority groups. While her own science background did not involve research, it is actually stronger than that of many previous Science chairs. It seems likely that Johnson will use oversight hearings to confront science policies at the Trump administration’s Environmental Protection Agency. Smith, the outgoing committee chair, practically invented the “secret science” trope later adopted by former EPA Administrator Scott Pruitt to curtail the use of science in his agency’s rulemaking. The committee has jurisdiction over the research arm of EPA. Johnson could also probe the Trump administration’s shuffling of EPA’s science advisory panel membership to make the panels more industry-friendly. The House Science Committee’s main impact has always been in the oversight arena rather than legislation. It has no exact counterpart in the Senate, and exerts little influence over major authorizing bills. But its oversight ranges widely – over scientific aspects of the EPA, Energy Department, NASA, NOAA, National Institutes of Health, National Weather Service and National Science Foundation, among other agencies. In any case, Johnson’s own stated intentions indicate a strong focus on climate science for the panel. Expect hearings not only on EPA’s overall science policies, but perhaps on the science fudging and math errors behind specific EPA actions like the rollback of the Obama administration’s auto-emissions standards, which were adopted to reduce climate-disrupting greenhouse pollution.